The Royal Netherlands Embassy - Washington DC: "On November 16th, Dutch-American Heritage Day, 8 million Americans of Dutch descent celebrate their heritage and the contributions they and their ancestors have made to the economic, social, political, and cultural life of the United States. A large portion of the eastern U.S., stretching from New Jersey and Delaware through New York and from Connecticut and Long Island to central eastern Pennsylvania, was settled by the Dutch in the early-1600s. The area was once known as New Netherland, and many places--Schuylkill, Catskill, Brooklyn, Staten Island, Harlem, Wall Street, Coney Island, to name but a few---trace their names from this Dutch period. Over the next two centuries, several waves of Dutch emigrants settled in the United States and, today, most Dutch-Americans are concentrated in ten states: New York, Michigan, California, Florida, Pennsylvania, Iowa, Washington, Texas, Ohio and Illinois. On Dutch-American Heritage Day we celebrate those ties and pay tribute to the mutual respect and friendship that animates the Dutch-American relationship." Proclamation by George Bush: "In celebration of the long-standing friendship that exists between the United States and the Netherlands, and in recognition of the many contributions that Dutch-Americans have made to our country, the Congress, by House Joint Resolution 177, has designated November 16, 1991, as "Dutch-American Heritage Day" and has authorized and requested the President to issue a proclamation in observance of this day. NOW THEREFORE I, GEORGE BUSH, President of the United States of America, do hereby proclaim November 16, 1991, as Dutch American Heritage Day. I encourage all Americans to observe this day with appropriate ceremonies and activities." 16 November was the date of the first-ever salute by a foreign power to the flag of the U.S.A.: On 16 November 1776, a small American warship sailed into the harbour of the Dutch island of St. Eustatius in the West Indies. Only four months before, the United States had declared its independence from Great Britain. The governor of the island ordered that his fort's cannons be fired in a friendly salute. 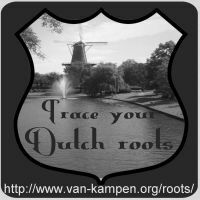 Dutch-American heritage day is celebrated in regions with strong Dutch roots. New York City, for example, celebrates with 5 Dutch Days 5 Boroughs, while West Michigan "celebrate[s] the proud history of Dutch-American influence in West Michigan with a wonderful, traditional Dutch dinner, fun and festivities for all" (on 20 November 2008).